The Board of Directors has all the ordinary and extraordinary administration powers for the achievement of the consortium’s goals. Board members are appointed by the partners participating in the consortium fund (consortium members). Each partner can appoint up to two counselors. 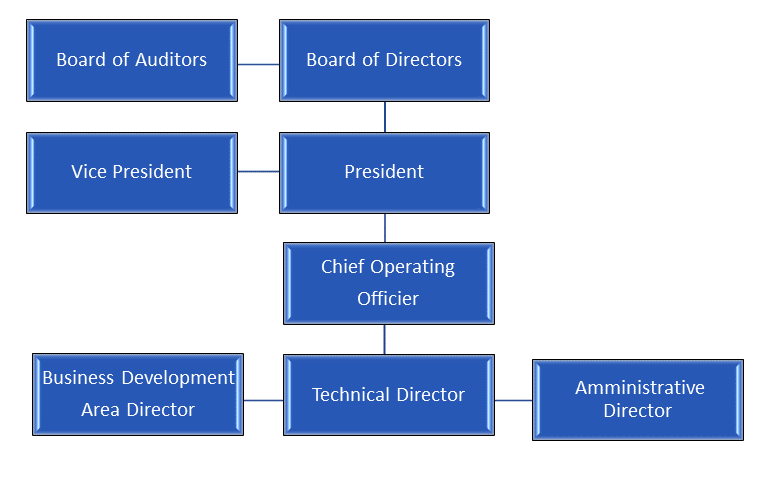 The Board members remain in office for three years or until the replacement by the Consortium who has appointed them. The President implements the resolutions of the Board of Directors, carries out the external relations of the Consortium, represents the Consortium in front of third parties and in court. The President is appointed by the Board of Directors and remains in office for three years, with the possibility of reconfirmation. The Board of Auditors supervises the administration of the Consortium, monitors compliance with the law and the articles of incorporation, ensures the regular keeping of the accounts and the correspondence of the financial statements with the results of the books and accounting records. Members of the Board of Auditors are appointed by the Board of Directors and remain in office for three years, with the possibility of reconfirmation.